A truly romantic dress in ivory tulle embroidered in a floral 3-D design. Comes with a choice of silk sash colour, covered silk buttons and an integral petticoat. 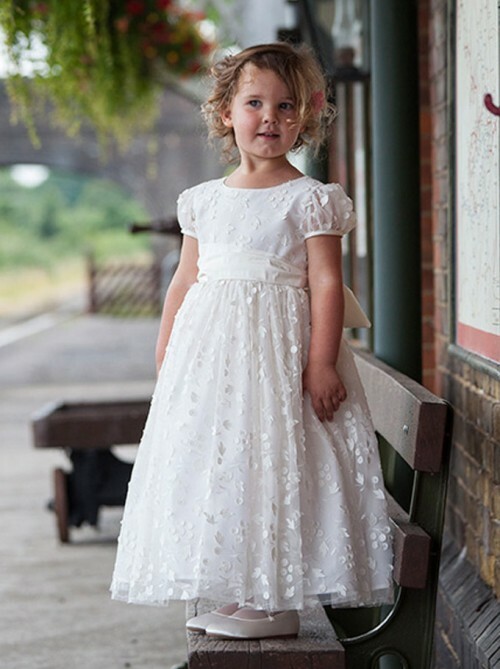 Perfect for flower girls, bridesmaids or parties. View the full sash colour range here.